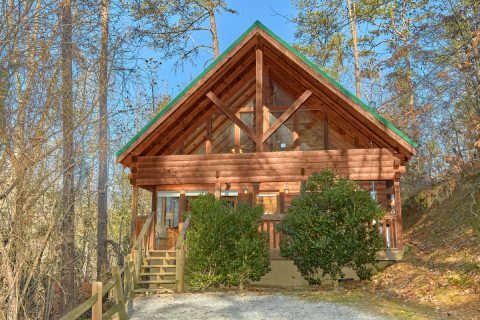 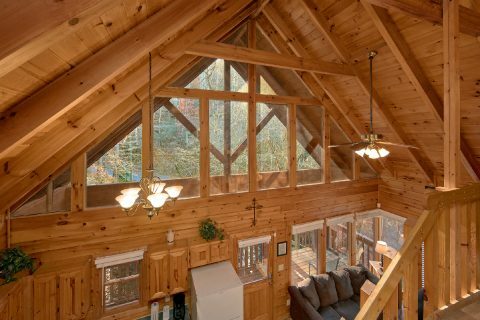 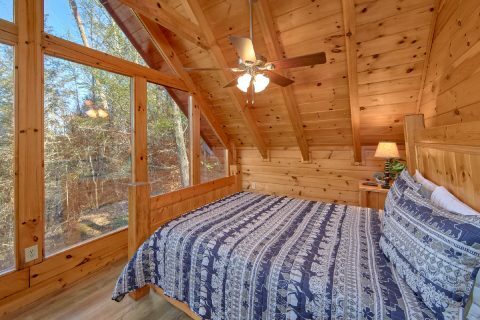 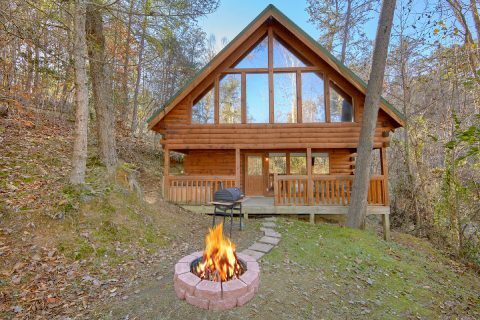 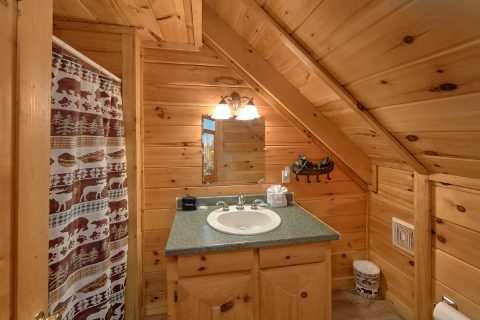 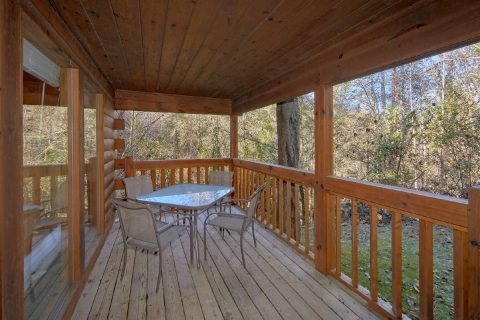 Located only a short drive from both Gatlinburg and Pigeon Forge, this peaceful mountain cabin might just be the perfect affordable getaway for your Smoky Mountain vacation! 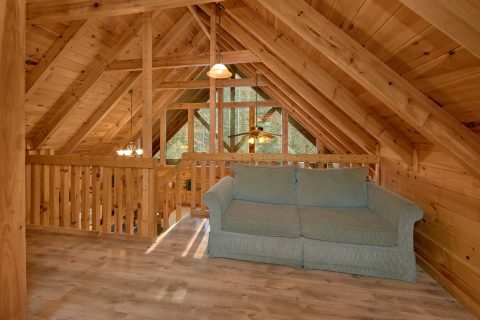 "Making More Memories," is a lovely 2 bedroom cabin located in Sevierville, TN near the Glades road area of the Smokies. 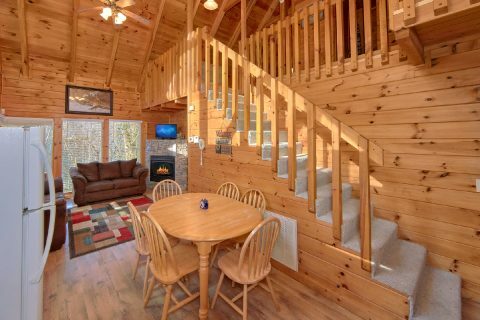 As a result of this cabin's prime location, guests of this rental can enjoy quick access to top local attractions like Dollywood, Ripley's Aquarium of the Smokies, and the Great Smoky Mountains National Park. 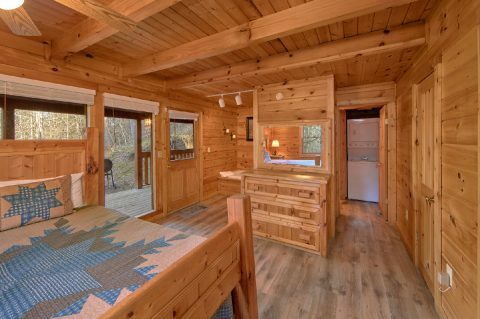 As an added perk, the nearby historic Glades road area is the perfect place to explore the rich tradition of handmade crafts in the Smokies. 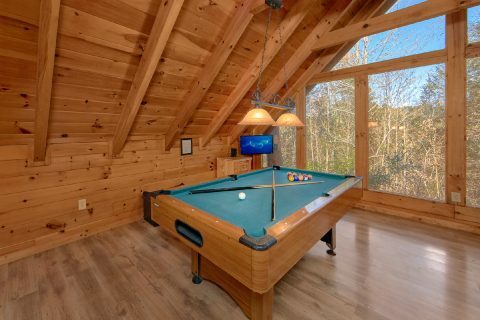 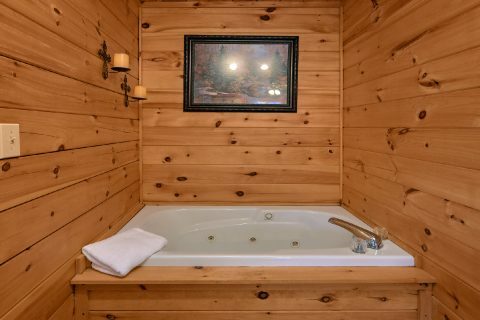 When you aren't busy exploring fun attractions or hiking in the mountains, you'll love unwinding at this log cabin that comes complete with a hot tub, pool table, and an indoor jetted tub. 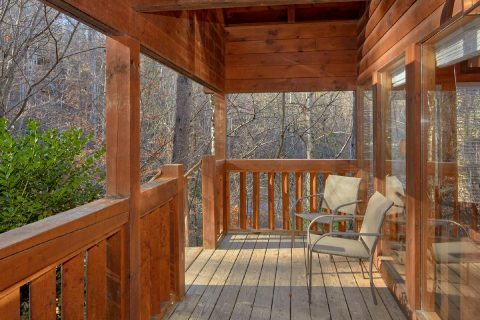 This rental boasts large picture windows, so guests can enjoy plenty of natural light and also take in the beauty of the forest that surrounds this rental. 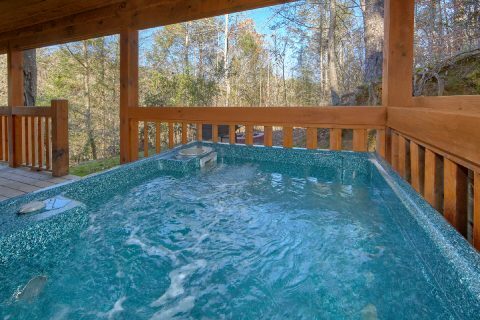 The hot tub on cabin's back deck is the perfect way to enjoy this cabin's peaceful location. 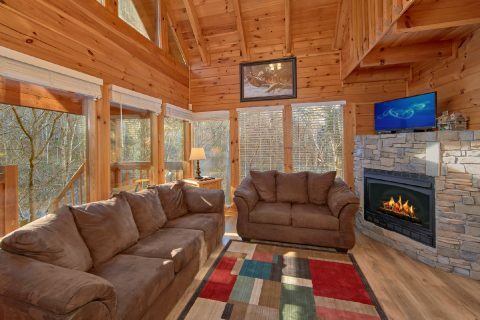 Additionally, this cabin's living room comes complete with an electric fireplace and a television, so you can enjoy a fun movie night in your cabin. 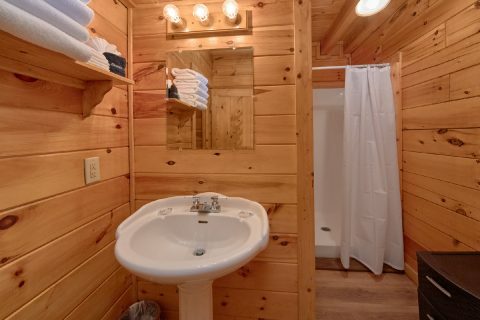 On top of all these relaxing amenities, this comfortable cabin provides plenty of practical features to make your stay truly care free. 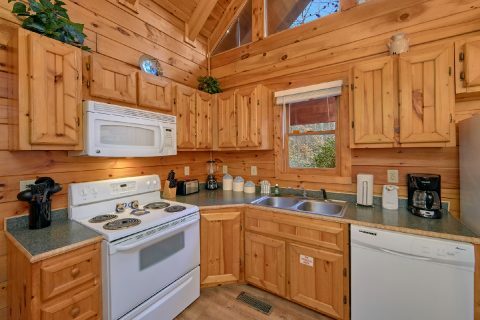 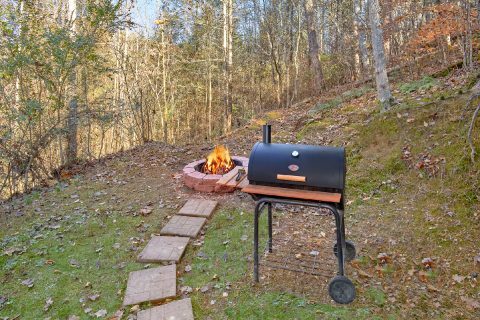 This rental's full kitchen and charcoal grill are an ideal way to cut vacation costs since it's always cheaper to prepare meals at home. 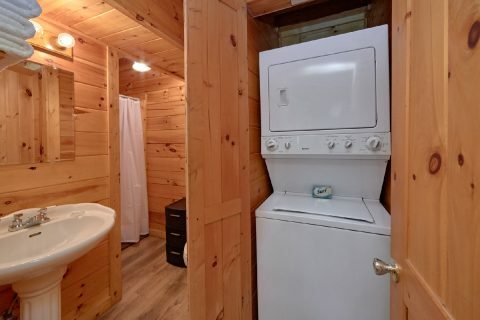 This rental also provides free WiFi Internet and a washer/dryer to use during your stay. 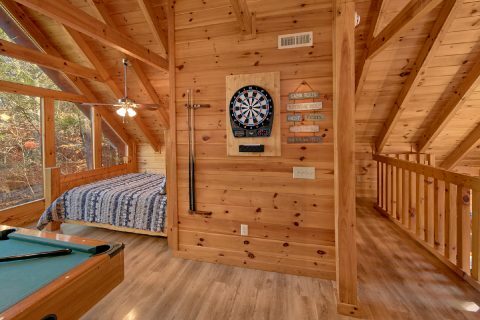 Once you're ready to get some sleep, this cabin provides a king bedroom on the main level, an upstairs queen bedroom, and 2 sleeper sofas to provide extra sleeping space for guests. 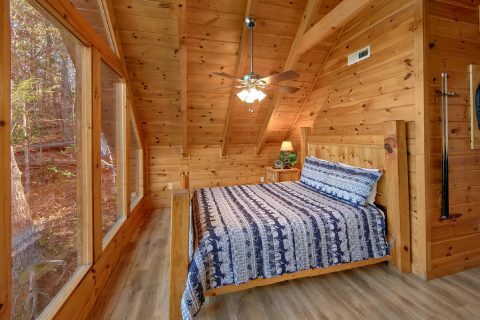 Altogether, "Making More Memories" can sleep up to 8 guests in comfort, so it's just the right size for a family vacation or a weekend in the mountains with friends. 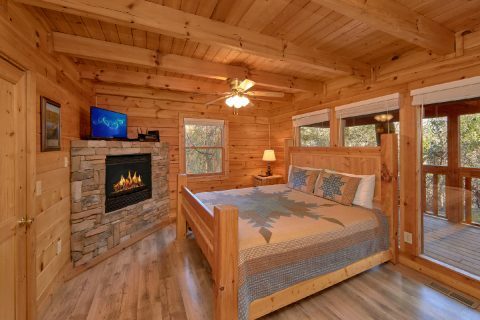 Book "Making More Memories" today with Cabins USA Gatlinburg to save 15% on your nightly rate! Enjoy an affordable cabin vacation complete with everything you need to relax in the Great Smoky Mountains of Tennessee!